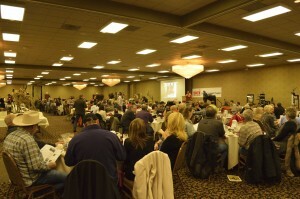 SCI’s Ultimate Hunters’ Market ® at the Ramkota Convention Center in Rapid City South Dakota. 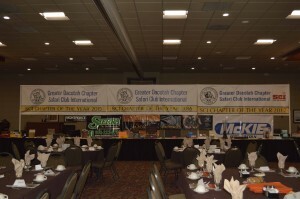 This was the first year for the Youth Hunter/Conservation Award with 4 nominations. 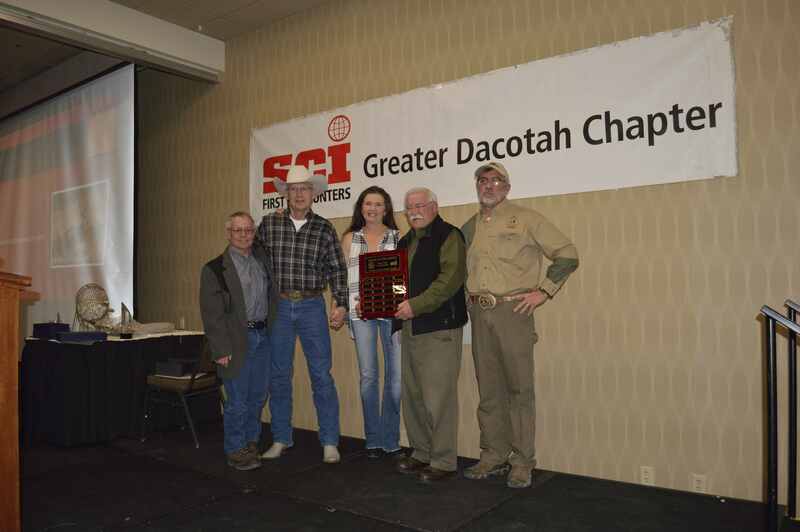 Kaden Suelflow was chosen as the first recipient of this award with the nomination coming from Deb Leatherman with South Dakota Youth Hunting Adventures! 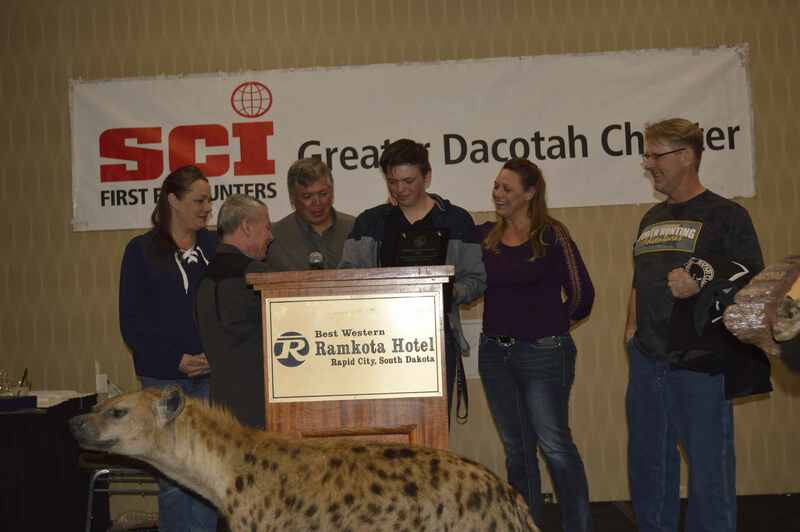 Congratulations Kaden you represent the youth hunter conservation philosophy, continually exhibit youth hunting skills and experiences, and demonstrate a commitment to wildlife conservation, and education through volunteer service. 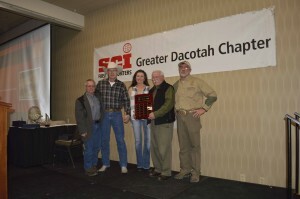 Kaden’s family was present and his mentor Jeff Kearney. 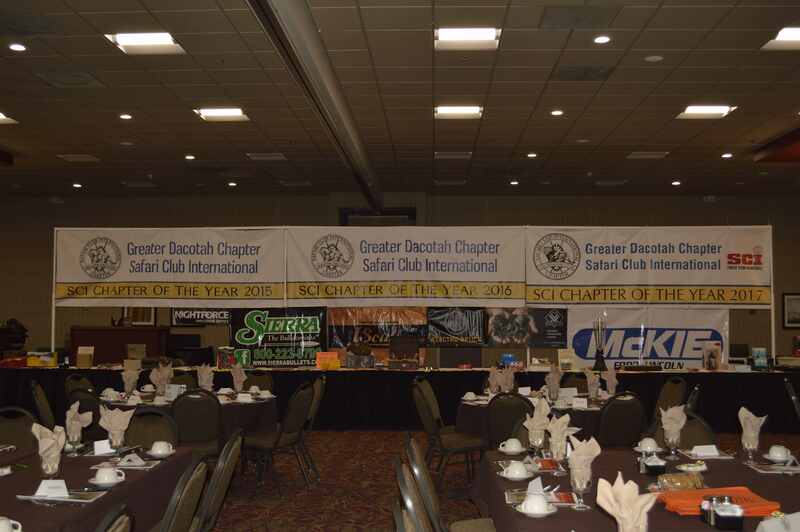 Kaden received a jacket, and a Sig Sauer KILO 1250 rangefinder with his award. 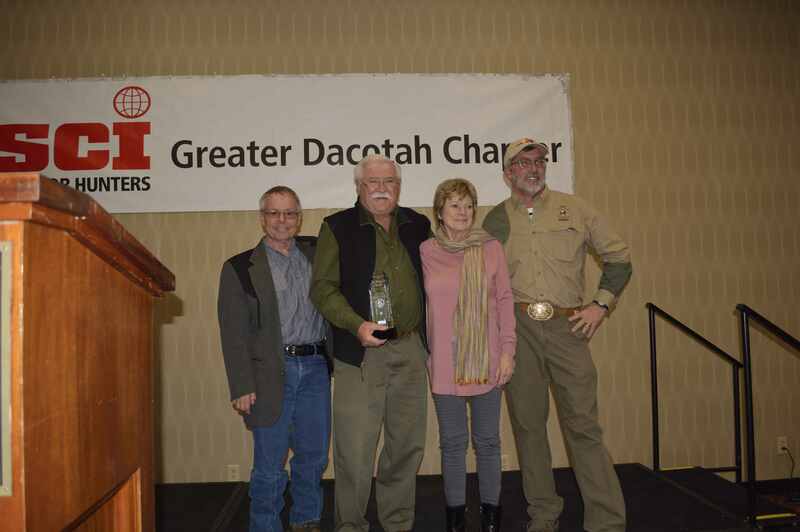 The Hunter/Conservation award was presented to Dr. Robert Ferrell accompanied by his wife Jan, Bob was the third recipient of this award recognizing character and sportsmanship, conservation and education, and hunting accomplishments. 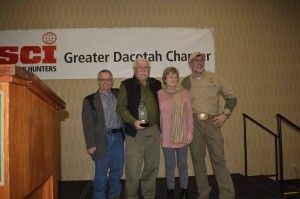 Jon and Lanceine Ziegler were the second recipients of the award and were present to present this award to Bob for a lifetime commitment to hunting and conservation. 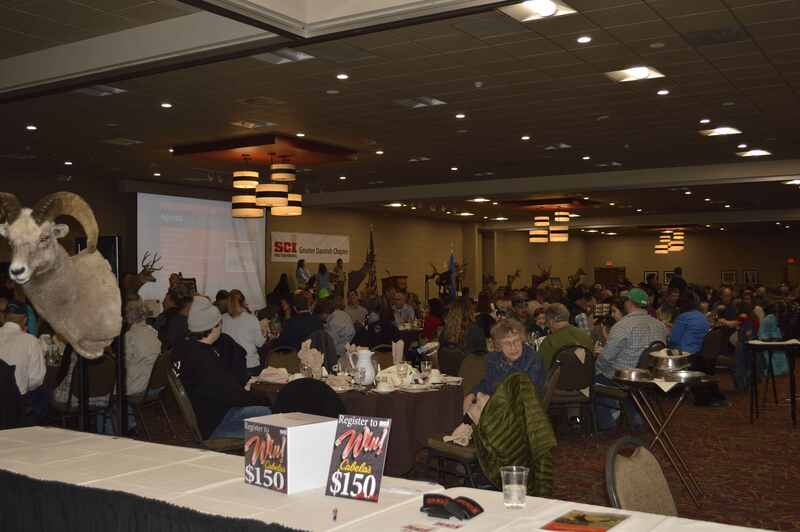 Bob represents the ultimate embodiment of the hunter conservationist philosophy, exhibits extensive hunting accomplishments, and demonstrates a lifetime commitment to wildlife, to habitat conservation, and education through voluntary service and philanthropy.